Flying to Calgary for Sled Island 2016? 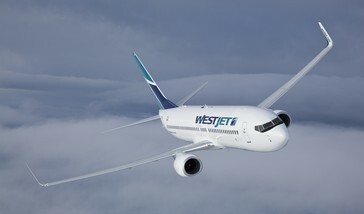 Our friends at WestJet are offering a special discount code to help you make the trip! Travel from June 17, 2016 to June 28, 2016 and access 15% off Econo and Plus fares and 10% off Flex fares (base fare only) for travel between Calgary and anywhere WestJet flies in North America (including WestJet’s Delta code-share partner network). From the home office in Grand Rapids, Michigan, we're proud to announce the Sled Island 2016 comedy lineup! 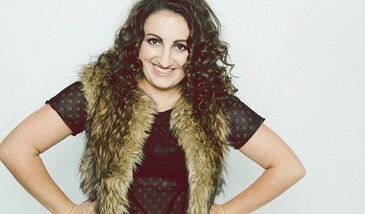 We can’t wait to welcome Canada’s Best Female Standup and Andy Kindler’s The Alternative Show vet Steph Tolev (pictured), cult favourite Jeremy Carter (who you may know as Shunt McGuppin from the legendary Superego podcast, or from appearances on Comedy Bang Bang, the Thrilling Adventure Hour and the Andy Daly Podcast Pilot Project), as well as category-defying Halifax comedian and Picnicface alum Cheryl Hann. The second wave of Sled Island 2016 artists is here! Joining an already stellar lineup are psych and drone kings Oneida (who will share a bill with previously announced post-punk band Protomartyr), experimental sludge-doom band SubRosa, new lo-fi pop project of Hunx and His Punx frontman The Seth Bogart Show, California punk weirdos together PANGEA, tongue-in-cheek garage-rock four-piece Chastity Belt, breezy Montreal pop group TOPS, recently-reformed and much-loved indie rock project Land of Talk (who will join Sled Island’s outdoor Olympic Plaza bill on June 25 featuring Guided By Voices, Built to Spill, SUUNS and more to be announced), slow-burning folk experimentalist Circuit Des Yeux, metal-inspired noise-rock favourites Crosss, frenetic free jazz group JOOKLO ZAPPA (featuring Stanley Zappa, nephew of Frank Zappa! 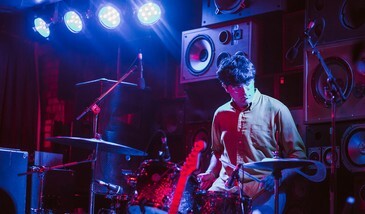 ), East Coast pop hero Shotgun Jimmie, buzzy post-punk faves Fountain and gritty coldwave project BLANKA. We can't wait any longer! Sled Island's second wave of 2016 artists will be revealed this Tuesday, March 22 at 10am MST. To celebrate, we're heading to Local 510 on Thursday, March 24 for a free party where we'll be screening videos from just-announced festival acts. Come on down and get acquainted with our 2016 lineup! Hey Lethbridge! We're teaming up with Electric Eye Music Festival to present Freak Heat Waves (pictured) with Fist City, Slates and SOFTESS on May 14, 2016. Electric Eye's third installment (May 11 - 15, 2016) includes five awesome days of emerging acts from across Western Canada as well as art installations, theatre shows and comedy showcases throughout downtown Lethbridge. 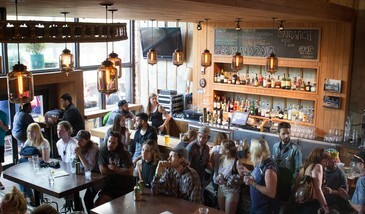 It's one of our favourite Alberta festivals, and a great way to get warmed up for Sled Island! Bonus: Electric Eye Providence Pass holders will be entered in a draw to win two Sled Island 2016 Discovery Passes! Join us for a one-night-only art and performance extravaganza in support of visual art at Sled Island 2016! 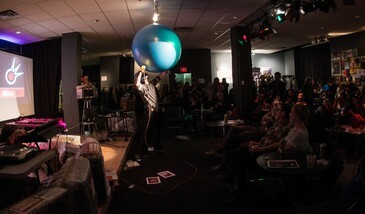 The Sled Island Talk Show Thorsday Thunderthon will feature absurd performances by members of the Arbour Lake Sghool as well as a slew of contests, prizes, games-of-chance and a live and silent auction. Featuring very special guest appearances by some of our favourite local artists as well as the return of the "Barnival," the Talk Show Thorsday Thunderthon aims to entertain, amaze and raise serious cash for some seriously awesome art at Sled Island 2016. Thanks to our partners Big Rock Brewery, Alberta College of Art + Design, Festival Hall and EMMEDIA! 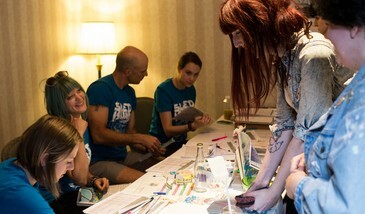 Sled Island is seeking an organized, friendly and efficient Box Office Coordinator. Reporting to the Festival Manager, the Box Office Coordinator is responsible for monitoring sales and providing customer service to Sled Island patrons. Time commitment will range from five hours/week (April 1 - May 15, 2016) to 10 hours/week (May 16 to June 26, 2016). This is an unpaid internship, however, students who meet SCIP criteria are eligible for a $1000 bursary. For details and how to apply, please download the complete posting. Applications close on March 16, 2016 at 4:00pm MST.